Sean is a civil litigator who has practiced in State and Federal courts throughout California. Before starting his own firm, Sean obtained significant litigation experience representing both Plaintiffs and Defendants in high stakes civil litigation cases. His unique experience on both sides of the aisle makes him a skilled and savvy litigator. Sean now maintains a busy litigation and trial practice focused primarily on Personal Injury and Family Law matters. He is admitted to practice before all courts in the State of California, and is admitted to practice before the U.S. Federal District Courts for the Eastern and Northern Districts of California. Sean has found success in handling personal injury cases obtaining substantial recoveries for his clients in cases such as: Auto Accidents; Uninsured and Under-Insured Motorist Claims; Back & Neck injuries; Motorcycle & Bicycle Accidents; Dog/Animal Attacks. 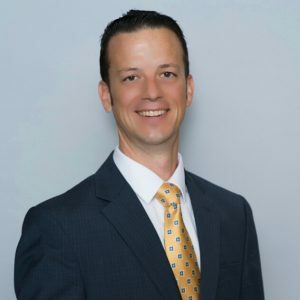 As a family law attorney, Sean has been successful in handling high value, contested divorces, child custody and visitation battles, as well as child support, and spousal support issues. Sean actively gives back to his community through volunteer service in a variety of civic organizations. When he is not working, Sean actively participates in martial arts, triathlons, and other outdoor activities.